**Note: As of late August 2017, many of the running routes in Houston are affected by the damage from Hurricane Harvey. Please check, prior to planning your trip. Our hearts go out to the citizens of Houston. Houston’s running scene has been getting steadily better. 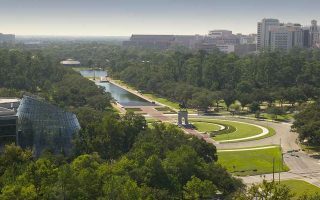 More than $100 million has been poured into parks related projects as part of a master plan to increase the Houston’s downtown population. 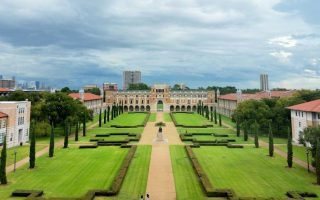 The best places to run in Houston are the terrific trails in some of its signature parks, notably Memorial Park, Buffalo Bayou Park, and in the Rice University area. 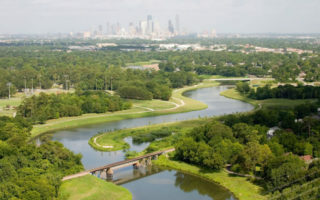 The defining geographic element for Houston running are the Bayous, originally meant as a natural drainage area, and now a growing network of trails and linear parks. 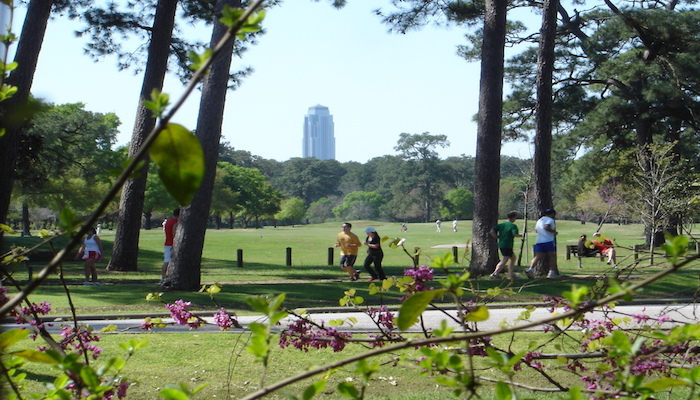 The heart of Houston’s running community is Memorial Park, sort of a Houston version of Atlanta’s Piedmont Park. 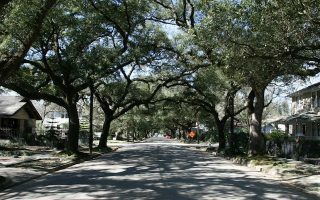 Great neighborhoods for running are River Oaks and the Heights area. 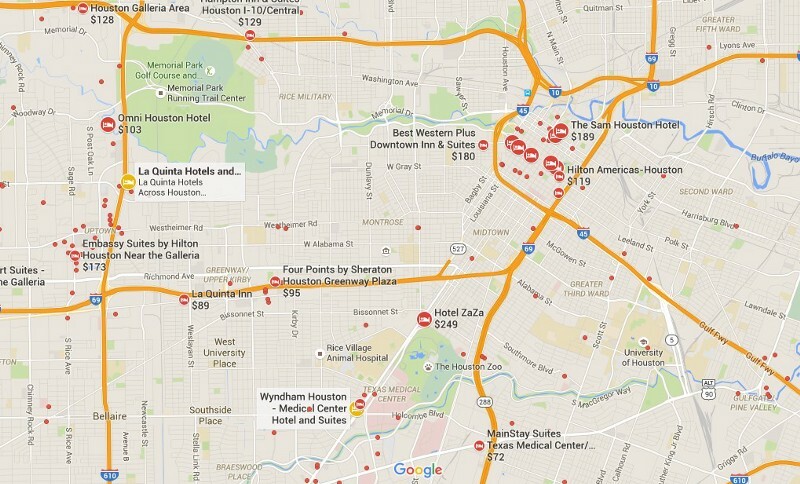 Since Houston is a large and spread out city, still fairly car-centric, you will have to ‘find your spot’. A 1466-acre green treasure and one of the largest urban parks in the United States. 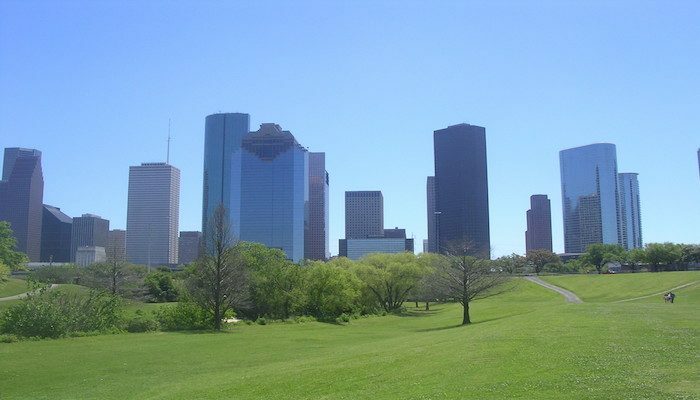 The heart of Houston’s running community, offering fabulous paths with spectacular views of Houston skyline. Just to the south of Memorial Park, River Oaks is one of Houston’s tonier neighborhoods. A nice standalone run if you enjoy residential areas, or as a nice add-on to Memorial Park. Many energy related companies are located in this area in west Houston. 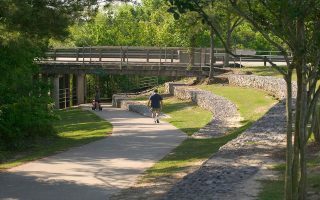 The area features over 50 miles of running trails in George Bush Park, Bear Creek Pioneers Park, and Terry Hershey Park. 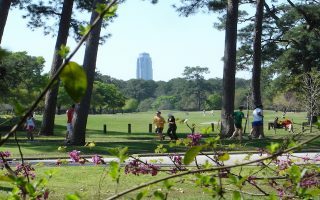 A woodsy area for running in Houston, with multiple points of interests such as the Houston Zoo, Miller Outdoor Theater, Museum of Natural Science, Garden Center and Japanese Garden. A 13.5 mile east-west path, following Brays Bayou. Part of an ever-improving trail system. Starts just south of the University of Houston, passes through Hermann Park, continuing to Braeburn. Good option near NRG Park. 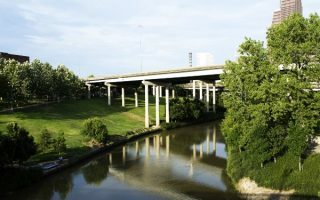 Buffalo Bayou Park is located directly west of the central business district at downtown. It’s the centerpiece of a $30 million urban revitalization plan that has won national acclaim. One of the nicer neighborhoods near downtown Houston. 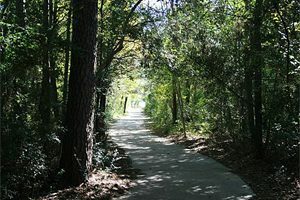 It’s a great area to run standalone, or connect to the Bayou trails about 1.5 miles to the south. A master-planned community within a native forest. Features 205 miles of running trails with many route options. 30 miles from downtown and 15 miles north of the airport. Runners should be cautious about Houston’s heat: summers are brutally hot and humid. 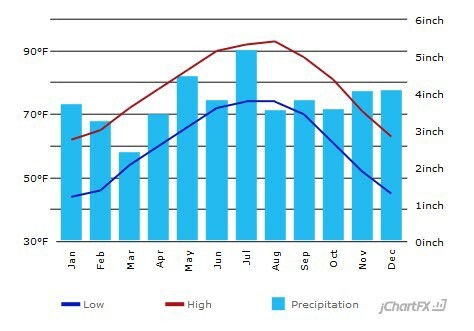 Fall and autumn are warm with some rains. Winters are mild and pleasant for running. Temps drop to freezing only occasionally. Houston gets its share of rain, including frequent thunderstorms in summer. Topographically, Houston is quite flat. Houston is a spread-out city and the routes featured here are located in different parts of the town. 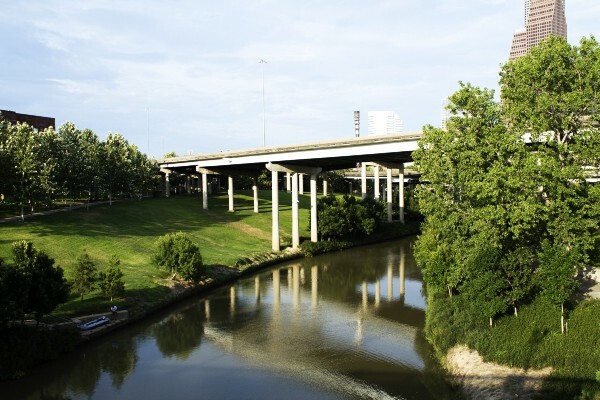 Staying in one of the hotels at downtown offers an easy access to Buffalo Bayou Park as well as to some of the city’s best running stores. 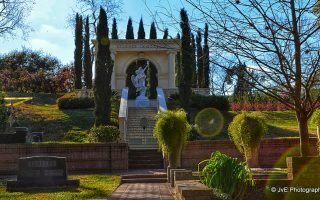 For the best access to Memorial Park, there is a cluster of hotels near The Galleria, south from the park. 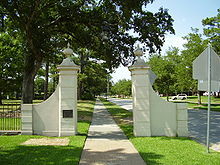 There are also a few hotels Medical Area near to Rice University and Hermann Park. Finish Strong Sports. Great locally owned running store with excellent customer service and knowledgeable staff. At Memorial Park’s northeast corner. Fleet Feet Sports. Locally owned and operated great running store. Their store at Rice Village, nearby the Rice University campus, has been in operation for almost 30 years. Three additional locations in Houston suburbs and surrounding areas. Luke’s Locker. Texas-based running and athletic store chain has been around for 35 years and has 10 stores around the state, one of them located in Houston between Memorial Park and downtown. Knowledgeable staff. Involves actively in local events and arranges weekly group runs. Houston Area Road Runners Association (HARRA). Main running organization in Houston. Non-profit, dedicated to support and advocate for the local running community. Serves also as the umbrella organization for many individual running clubs in the area. Bon Running Club. Weekly 5k runs for runners of all speeds around the Rice University camp and drinks afterwards. Free-of-charge new member registration from 5:30pm-7:30pm every Tuesday night at The Gorgeous Gael Irish Bar in Rice Village. West End Running Club. Weekly runs from The West End — A Public House every Tuesday night from 5:30pm to 8:30pm. Food and drinks afterwards. Club is free to join. The Woodlands Running Club. Non-profit organization located about 20 miles north from downtown in The Woodlands. Has multiple free group runs every week, open to non-members. Chevron Houston Marathon is taking place in each January and is the biggest single-day sports event in the city. Rhythm and Blues Run is an annual run where participants race to the rhythm of live bands along a spectator filled course. The bands provide an electrifying, festive environment for the runners and spectators.